On 1st Nov, 2003 myself and senior journalist Mr.S.V.Rama Rao met the glamorous actress, singer and producer of yester years Mrs.C.Krishnaveni, wife of late.Mirzapuram zamindar, producer, director and owner of Shobanachala studios. Smt.Krishnaveni has introduced actress Anjali Devi, her husband Aadi Narayana Rao as assistant music director in the film "Gollabhama" produced by her. In Manadesam she introduced NTR to the film industry, in "Dampatyam" movie she introduced Ramesh Naidu as music director, she created reentry for SVR, introduced Vijay Kumar as hero and Ghantasala as a music director. During discussions she was kind enough in replying to our questions. Q. Krishnaveni garu, what made you to book Ghantasala for 3 films as a music director (Lakshmamma, Keelu gurram and Manadesam) simultaneously as GH at that time was an upcoming singer and never scored music independently for any movie. Don't you think that you have taken a risk? CK(C.Krishnaveni) : Originally, Lakshmamma film was planned by the producer Joya Subba Rao with P.Bhanumathi in the leading role. She has not agreed to act. So, they booked Malathi (Paataala Bhairavi heroine). Late.Tripuraneni Gopi Chand was the writer and director and Balantarapu Rajanikantha Rao was the music director. After producing couple of reels the film was discontinued. Mr.Gopi Chand was very much interested in the continuation of the film and approached me with a request to complete the film. That time Mirzapuram Raja varu was away to Vijayawada. I immediately spoke to Raja varu and he has agreed to the proposal of Gopi Chand. After his return to Madras we finalized the deal. Sri Rajani Kantha Rao garu brought Ghantasala to our house and introduced GH as a singer. Mr.GH has sung few songs in my presence. I was very much moved with the behavior and humbleness of GH. Very much thrilled with his voice. I could see a lot of potential in him as a singer and music director. The above three facts created lot of confidence in me and immediately we booked him as a music director for Lakshmamma. At that time we have already planned for the production of Keelu Gurram so we booked GH for that picture also as a music director. At that time we were planning to produce another movie(Manadesam) on our daughter's name Rajya Lakshmi Anuradha and so we changed the banner from Shobhanachala pictures to MRA films (Meka Rajya Lakshmi Anuradha). We booked him for that movie also as a music director. Keelu Gurram was first released and it was a terrific success and the collections were huge (record collections). The release of Lakshmamma was delayed as it was recasted and I played the main role in place of Malathi. Then Manadesam was also released. In Manadesam I wanted to introduce all types of traditional songs of Andhra Pradesh wiz, "Dhampudu paatalu, veedhi naatakaalu, bommalaatalu, jaanapada geethalu, burra kathalu etc", patriotic songs, devotional songs, etc. 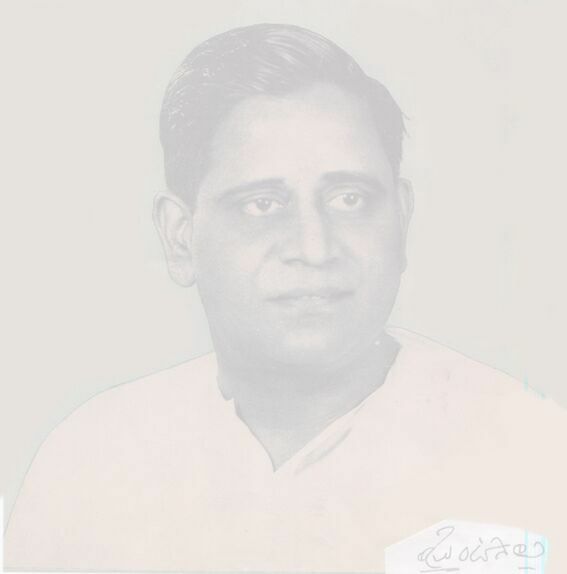 Ghantasala scored music very well to our fullest satisfaction. Q. As an upcoming singer GH did not sing all the songs in Lakshmamma and Manadesam and gave chance to M.S.Rama Rao. What is the reason? CK : We actually told him to sing all the songs but GH chose M.S.Rama Rao as a playback singer saying that M.S is already popular as a playback singer for hero C.H.Narayana Rao. When we paid remuneration for 3 movies, GH did accept only for 2 movies refusing the remuneration for the 3rd movie saying that he would like to express his gratitude for booking him as a music director for 3 movies simultaneously though he did not score music independently for any movie. Finally she concluded the discussion saying that it is difficult to find a person like Ghantasala in film industry.